You are going to Watch Naruto Shippuden Episode 255 English subbed online free episodes with HQ / high quality. Stream Anime Naruto Shippuden Episode 255 Online English sub The Artist Returns. Kabuto and Deidara continue their assault on the island as they evade Onoki and his bodyguards Kurotsuchi and Akatsuchi. Deidara detonates a huge bomb underneath the turtle to turn it upside down, immobilizing it temporarily. 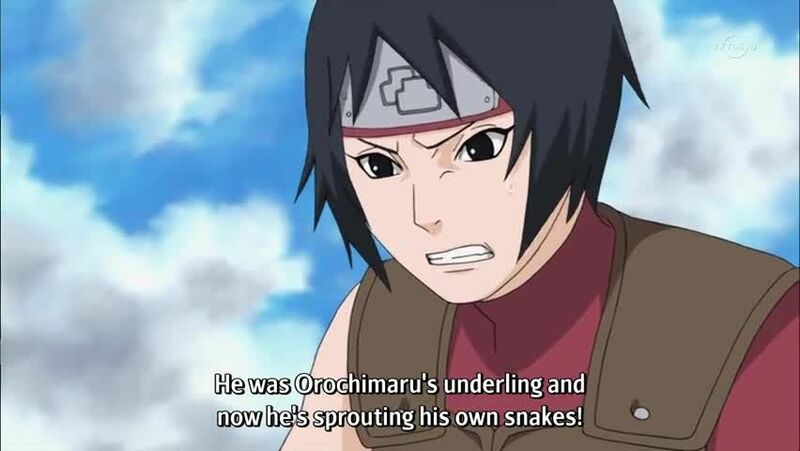 Kurotsuchi uses her Quicklime jutsu to ensnare Kabuto. Yamato, Motoi and Aoba head out of the chamber and confront Kabuto. Aoba tries to extract information from Kabuto, but Kabuto sheds his skin and escapes, capturing Yamato in the process.